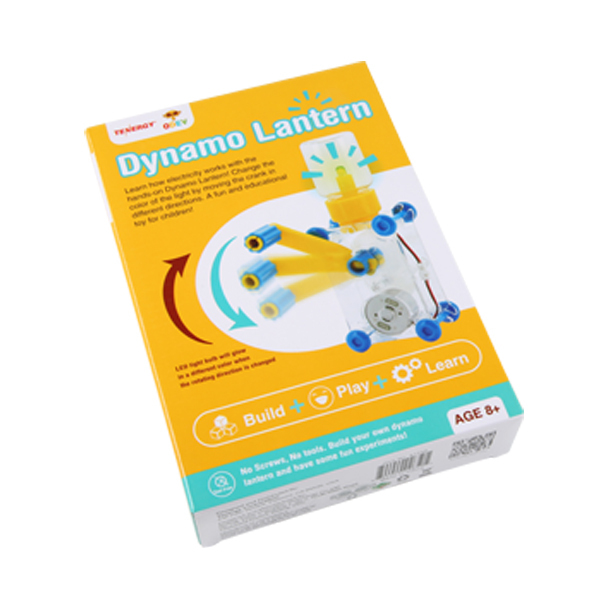 The Odev Dynamo Lantern Kit lets kids turn a simple toy motor into a mini generator that converts hand motion into electrical energy to light up a light bulb. With this easy-to-assemble kit, young people are able to learn how generators and electricity work by seeing the result of powering a light bulb with their own hands. You can also make the light bulb change colors from blue to green by rotating the hand crank in the opposite direction. 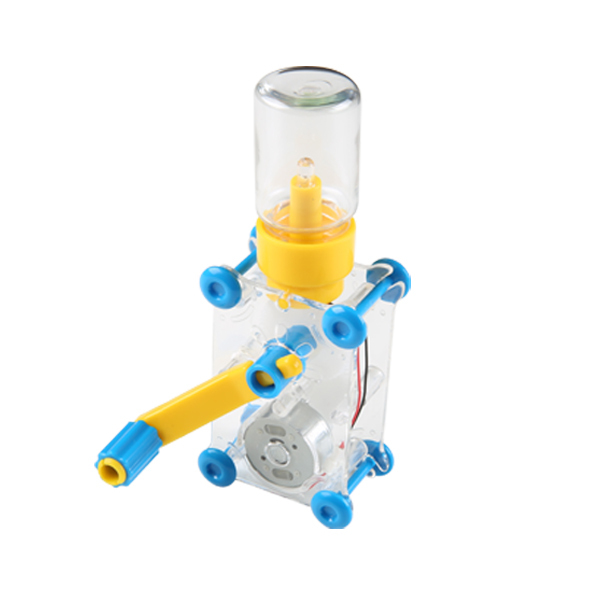 This kit includes a plastic casing, LED light bulb, toy motor, gears and detailed instructions. Educational fun facts are included in the instruction manual. Kids can easily build a Dynamo Lantern in 10--15 minutes, and no screws or tools are needed.